Is Motorcar Parts of America, Inc. (MPAA) A Good Stock To Buy? Is Motorcar Parts of America, Inc. (NASDAQ:MPAA) a good investment right now? We check hedge fund and billionaire investor sentiment before delving into hours of research. Hedge funds spend millions of dollars on Ivy League graduates, expert networks, and get tips from industry insiders. They sometimes fail miserably but historically their consensus stock picks outperformed the market after adjusting for known risk factors. Is Motorcar Parts of America, Inc. (NASDAQ:MPAA) a buy, sell, or hold? Money managers are betting on the stock. The number of long hedge fund positions improved by 1 lately. 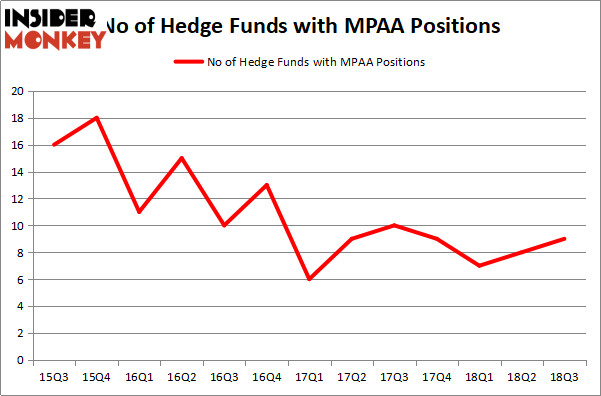 Our calculations also showed that MPAA isn’t among the 30 most popular stocks among hedge funds. Hedge funds’ reputation as shrewd investors has been tarnished in the last decade as their hedged returns couldn’t keep up with the unhedged returns of the market indices. Our research has shown that hedge funds’ large-cap stock picks indeed failed to the beat the market between 1999 and 2016. However, we were able to identify in advance a select group of hedge fund holdings that outperformed the market by 18 percentage points since May 2014 through December 3, 2018 (see the details here). We were also able to identify in advance a select group of hedge fund holdings that’ll significantly underperform the market. We have been tracking and sharing the list of these stocks since February 2017 and they lost 24% through December 3, 2018. That’s why we believe hedge fund sentiment is an extremely useful indicator that investors should pay attention to. Let’s take a look at the fresh hedge fund action encompassing Motorcar Parts of America, Inc. (NASDAQ:MPAA). What does the smart money think about Motorcar Parts of America, Inc. (NASDAQ:MPAA)? Heading into the fourth quarter of 2018, a total of 9 of the hedge funds tracked by Insider Monkey were long this stock, a change of 13% from the second quarter of 2018. By comparison, 9 hedge funds held shares or bullish call options in MPAA heading into this year. So, let’s examine which hedge funds were among the top holders of the stock and which hedge funds were making big moves. More specifically, Private Capital Management was the largest shareholder of Motorcar Parts of America, Inc. (NASDAQ:MPAA), with a stake worth $34.2 million reported as of the end of September. Trailing Private Capital Management was Fine Capital Partners, which amassed a stake valued at $29.9 million. SG Capital Management, Voce Capital, and Polaris Capital Management were also very fond of the stock, giving the stock large weights in their portfolios. As aggregate interest increased, specific money managers were leading the bulls’ herd. Millennium Management, managed by Israel Englander, established the most valuable position in Motorcar Parts of America, Inc. (NASDAQ:MPAA). Millennium Management had $1.4 million invested in the company at the end of the quarter. Roger Ibbotson’s Zebra Capital Management also initiated a $0.2 million position during the quarter. Let’s go over hedge fund activity in other stocks – not necessarily in the same industry as Motorcar Parts of America, Inc. (NASDAQ:MPAA) but similarly valued. These stocks are Titan International Inc (NYSE:TWI), Lumber Liquidators Holdings Inc (NYSE:LL), MFS Intermediate Income Trust (NYSE:MIN), and A10 Networks Inc (NYSE:ATEN). This group of stocks’ market values are similar to MPAA’s market value. As you can see these stocks had an average of 10.5 hedge funds with bullish positions and the average amount invested in these stocks was $44 million. That figure was $89 million in MPAA’s case. A10 Networks Inc (NYSE:ATEN) is the most popular stock in this table. On the other hand MFS Intermediate Income Trust (NYSE:MIN) is the least popular one with only 2 bullish hedge fund positions. Motorcar Parts of America, Inc. (NASDAQ:MPAA) is not the least popular stock in this group but hedge fund interest is still below average. This is a slightly negative signal and we’d rather spend our time researching stocks that hedge funds are piling on. In this regard ATEN might be a better candidate to consider a long position. 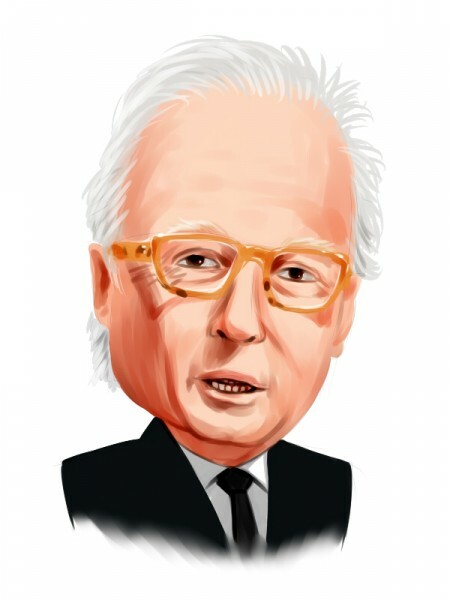 Here is What Hedge Funds Think About Movado Group, Inc (MOV) Is Mohawk Industries, Inc. (MHK) Going to Burn These Hedge Funds? Simcoe Capital Management’s Returns, AUM and Holdings Billionaire Leon Cooperman’s New Stock Picks HMI Capital’s Returns, AUM and Holdings Is MGM Resorts International (MGM) A Good Stock To Buy?